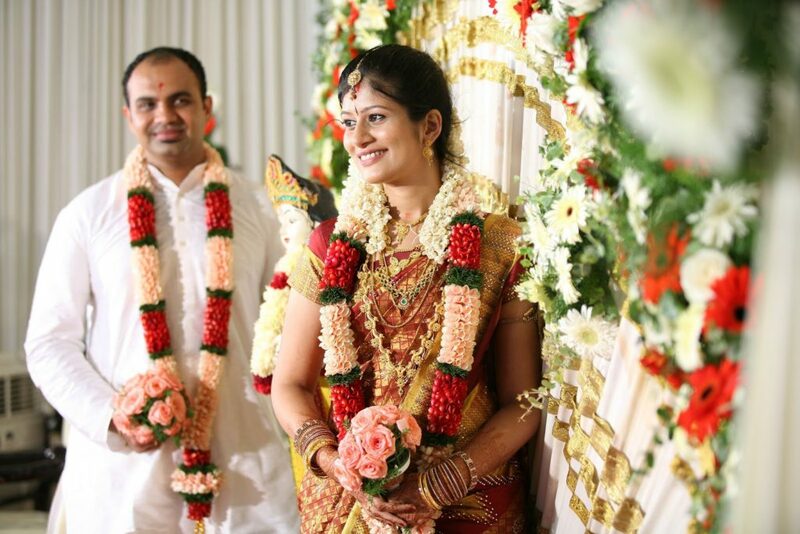 Lavish Weddings are the fad now whenever it is an Indian Wedding, which makes it extra special. The whole affair is given a sacred space whether it is in real life or in movies. The thing that makes Indian wedding such a special occasion is that we are a diverse country with so many cultures, every single wedding is different. With the various things which make it unique, some would include the joota chhupai to the mehendi and the little banter between the two sides; Indian weddings are replete with quirky traditions that add to the charm of weddings. This tradition takes the sanskari bahu mantle to a whole new level. 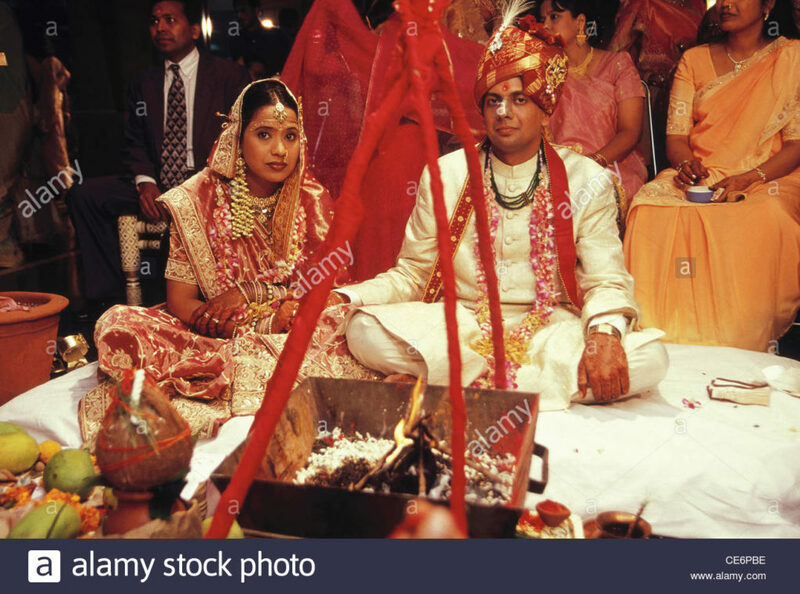 During the wedding, the mother-in-law mounts a couple of earthen pots on her bahu’s head and the new bride is supposed to bend and take the ashirwad of elders while keeping the pot steady on her head. This is supposed to show if she can take the dual responsibility of mother and wife and can balance her own household. Sarsual a small town in the Kanpur District of UP, welcomes the groom with a completely different definition altogether. The groom’s family is greeted by hurling tomatoes and potatoes at them, followed by a round of the best abuses around. This tradition basically believes in the notion that every loving relationship begins on a sour note. We all have seen this in movies, where everyone tries to convince the bridegroom or groom from taking sanyas from modern world. But, in a Tamil Brahmin wedding the groom is supposed to walk out of the mandapam right before the wedding rituals begin. He decides to take up sanyas from life and walk away from the wedding and the father of the bride then has to convince him to marry his daughter. Of course, the groom eventually returns to the mandapam. It is a known tradition where the mother-in-law is allowed to pull the nose of the damaad. But there is another tradition where a grooms feet are washed by pouring milk and honey on the feet and then this potion is feed to the groom. Punjabis know how to party and this pre-wedding tradition is what makes them even more unique. When they are partying all night long, when someone from the married groom or bride families shouts out jaago, its another excuse to party all night long but the ladies carrying decorated earthen pots on their heads really add to the happy air at the wedding. 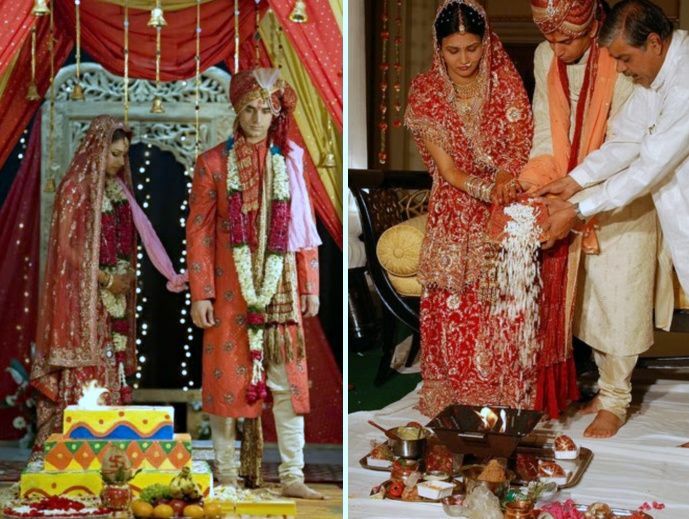 Irrespective of what is known throughout the country where the marrying couple have to take 9 pheras before they are married off. In Malayali weddings it only has 3 pheras and once the groom has tied a yellow thread around the neck of the bride, you’re married! 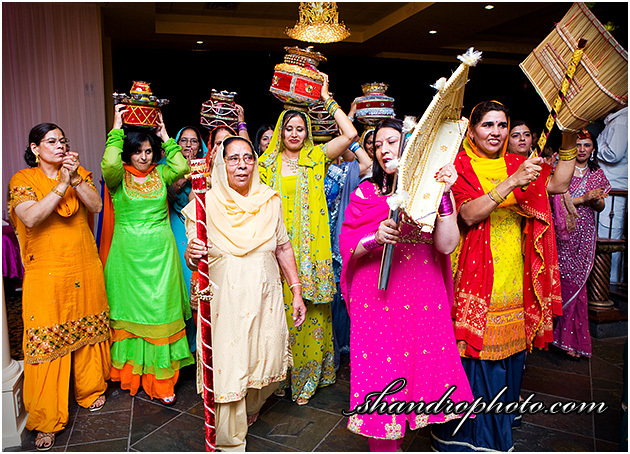 According to the toran bandana tradition, the bride is allowed to attack the groom with a sword. Yes it is sharp and can cause significant damage, but if she swings at you and you don’t duck then chances are you’ll get injured. This is simply done to test his fitness. This tradition is that at sindhi weddings the groom gets his clothes torn by his family and friends to signify that he has left his past behind and is entering a new stage of life. This ceremony only adds to the fun. In these weddings, the bride enters with a white flag and the groom enters with the red flag to signify the two different sides. The cute part is that the whole entourage comes back guided by the red flags.